For this idiosyncratic list, I chose whites that surprised me one way or another, and whites that exhibited impressive balance. When a wine’s fruit, acids and other flavors are tautly in sync, it can be an absolutely thrilling experience. Don’t settle for white wines that are simply innocuous and bland. There are too many beautifully lively bottles out there to waste your time with anything that doesn’t make you sit up and take notice. The wines below represent a tiny taste of what’s out there beyond the giant industrial-sized brands found in every grocery store. These are wines with heart. They have to be, since most of the companies making these wines have minimal marketing budgets. You won’t find all of these particular wines with ease, but if you see one that sounds particularly enticing, bring the description to your local wine shop and ask for something similar. A good wine clerk will send you in the right direction. 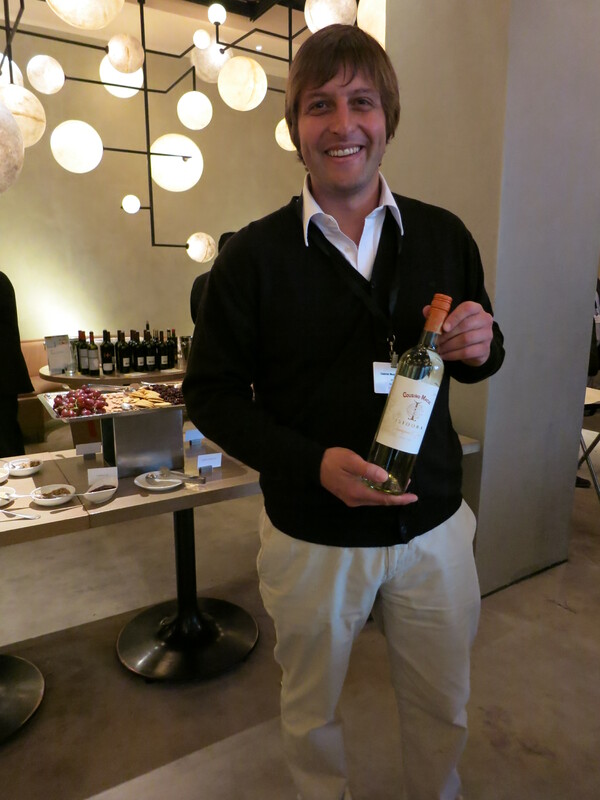 Now bottling his whites under the broader Veneto IGT, Anselmi has used his freedom to the fullest. This 100% Garganega comes from a choice hillside vineyard rich with limestone. It had a sweet aroma with some spice, and a wonderfully refined texture on the palate. I loved its creamy fruit, focused ginger spice and long finish dusted with subtle minerals. Very classy. Hungary’s Tokaj region became famous in the courts of Europe for its sweet aszú (botrytized) wines, such as this one by Barta Pince. This extraordinary wine from the Öreg Király vineyard has a whopping 257 grams of sugar per liter. Compare that to, say, Dr. Loosen’s 2006 Beerenauslese from Germany’s Mosel Valley, which has a mere 142 grams per liter. 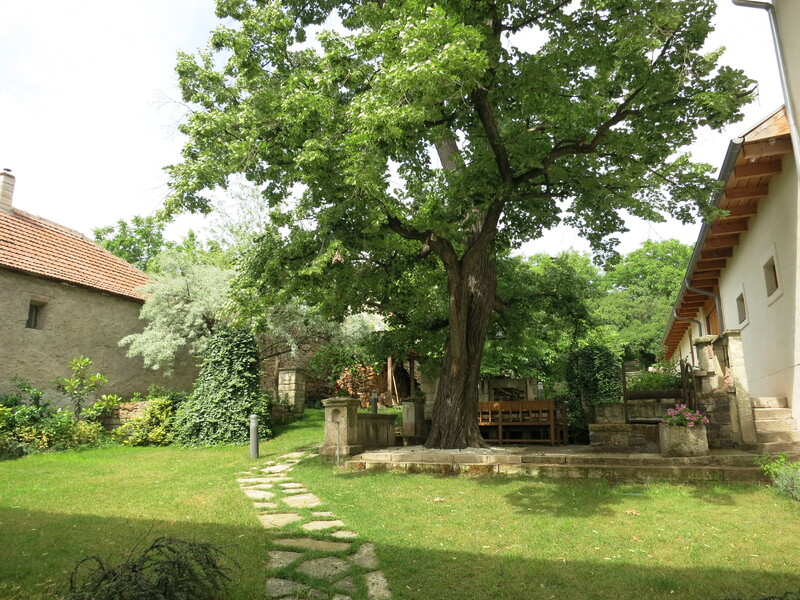 Istria, a triangular peninsula jutting off the northwest of Croatia, used to belong to Italy, and its food and wine has started to rival that of its former owner. This Istrian Malvasia (known locally as Malvazija Istarska) had a memorably rich aroma which almost moved into caramel territory. Savory and a bit floral, this beautifully balanced wine had notably focused acids and an underlying note of salinity. Unusual and very, very tasty. 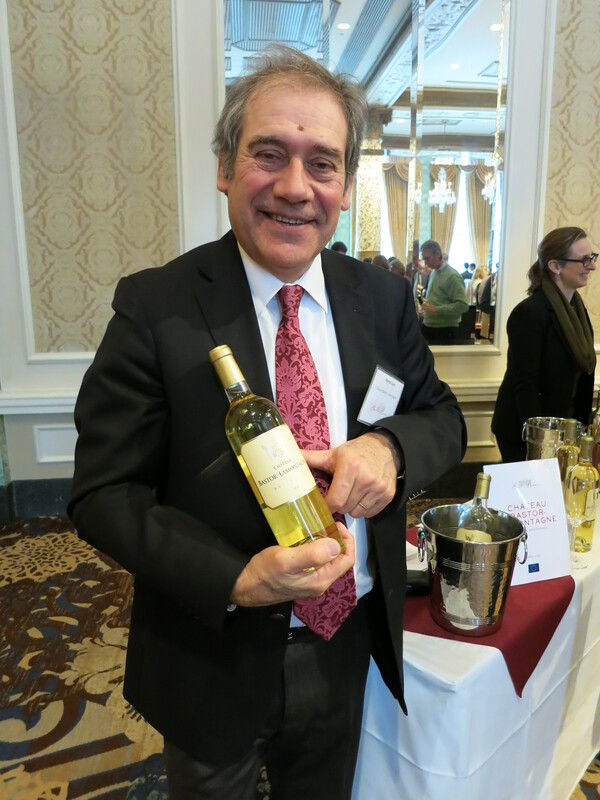 The 2011 vintage happened to be a particularly good year for Sauternes, as well as dry white Bordeaux wines (it was uneven for reds). This assertion was strongly supported by a Bordeaux tasting I attended, where the Sauternes ranged from memorable to absolutely astounding. My favorite was the dazzling Bastor-Lamontagne. It had a fresh and fruity honeysuckle aroma with nothing heavy about it. There was the rich and opulent character one expects from a fine Sauternes, but here, a rocket of minerality and acids shot right through the middle with electrifying focus. It rang like a bell; it was a taut violin string plucked in a clear pool of nectar. This château may not be Sauternes’ most famous or highly classed, but in 2011 at least, Bastor-Lamontagne crafted a thing of invigorating beauty. A pink-skinned mutant of Sauvignon Blanc, Sauvignon Gris almost became extinct because of its low yields, but the variety “has an increasing following, notably in Bordeaux and the Loire,” according to The Oxford Companion to Wine, and it “has found itself quite at home in Chile,” Wine Searcher explains. Cousiño-Macul’s Sauvignon Gris varietal smelled fun and citrusy, with notes of grapefruit and orange peel. The grapefruit carried through when I tasted this Chilean wine, which had very focused acids and laser-like spice. It tasted bright, zesty and cheerful, with ample fruit and acids well in balance. Not too shabby for a wine that typically retails for less than $14! Unpronounceable Kövérszőlő, also known as Grasa de Cotnari, almost died out in Tokaj during the phylloxera epidemic. But it was revived in the late 1980s and 90s, and a few wineries like family-owned Erzsébet Pince produce varietal wines from it. It had a fresh honeyed aroma, but despite its high sugar content, it did not feel at all syrupy. 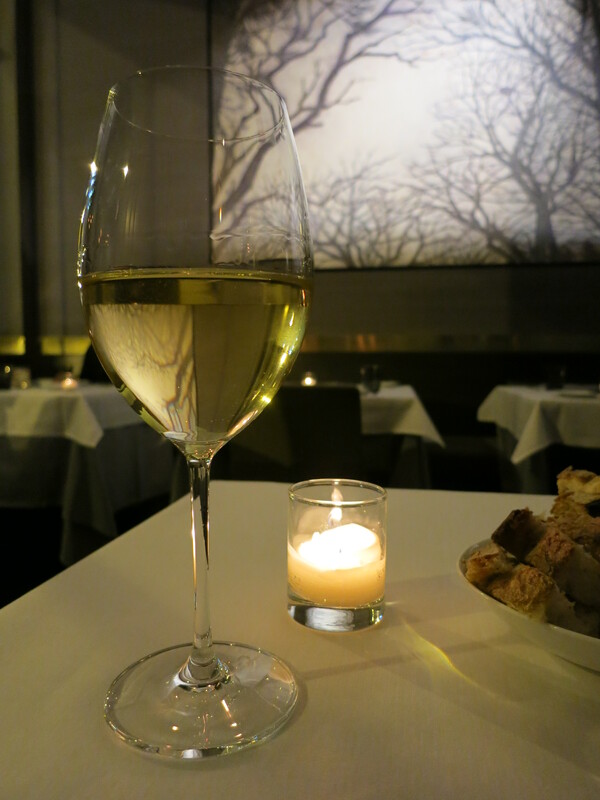 And not because of powerful acids — instead, there was a wonderfully light, ethereal quality to this wine. “Schön,” which means pretty, is not an adjective in this case but the name of a vineyard on the far western edge of the Wachau Valley near the town of Spitz in Austria. I loved this wine, which clocks in at a hefty 14.5% alcohol. It had a complex aroma of dried herbs, green fruit and even a hint of smoke. But when I tasted the wine, it burst with rich fruit, leavened by cedar and some focused gingery spice. 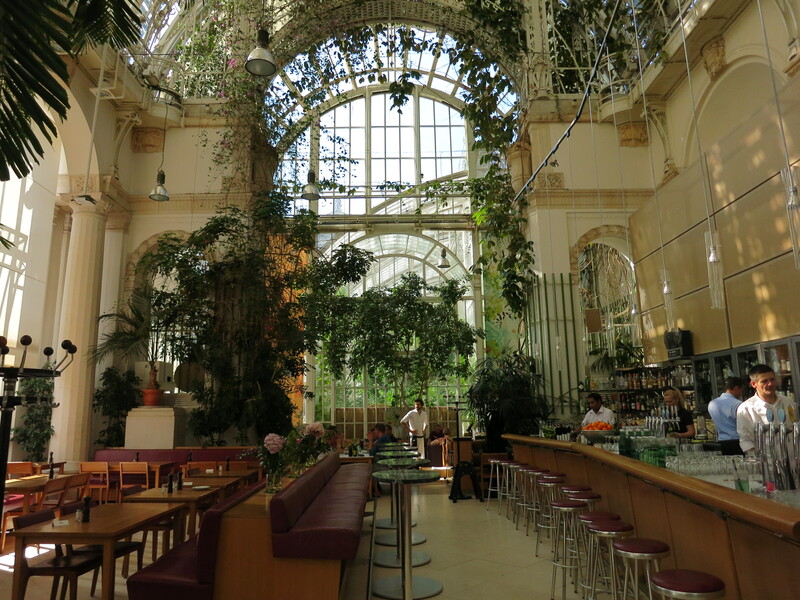 It felt very decadent and exotic — perfect for sipping on the terrace of Palmenhaus, a regal café and restaurant occupying what was once the imperial palm house of the Habsburgs. What a delightful surprise. This wine comes from Slovakia’s Južnoslovenská region, which is apparently “warm and sunny,” according to The Sotheby’s Wine Encyclopedia. It had an enticingly spicy, stony aroma and lush, full fruit on the palate. A shaft of gingery spice kept things well in balance. 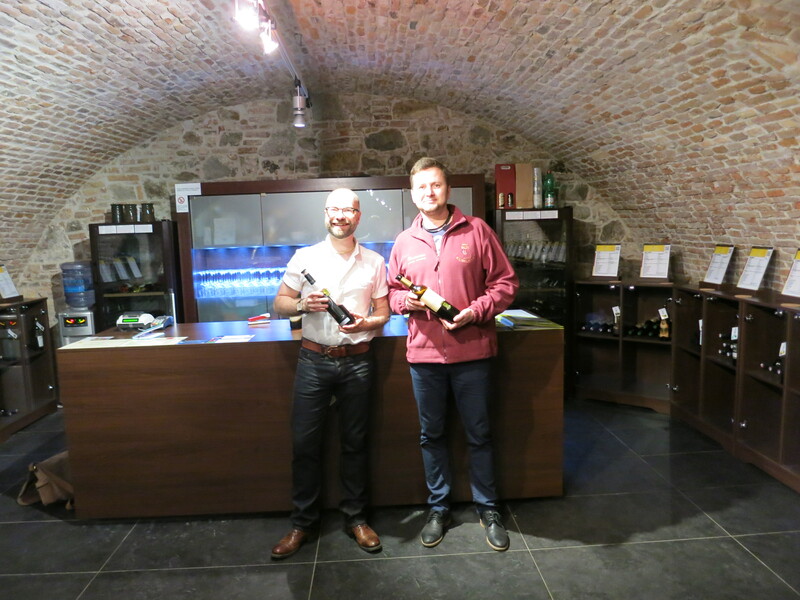 I could easily imagine buying this by the case, if it were actually available somewhere (I tasted it at Bratislava’s Národný Salón Vín, a cellar in a rococo palace which assembles the top 100 wines of Slovakia, culled from a selection of some 8,000 bottlings). Juvé y Camps crossed the tightrope with this wine, certainly. It had a surprising and very pleasant aroma of light caramel, popcorn and orange peel. Elegant and zesty on the palate, it exhibited prickly bubbles and notes of citrus and light toast. Next up: The top reds. 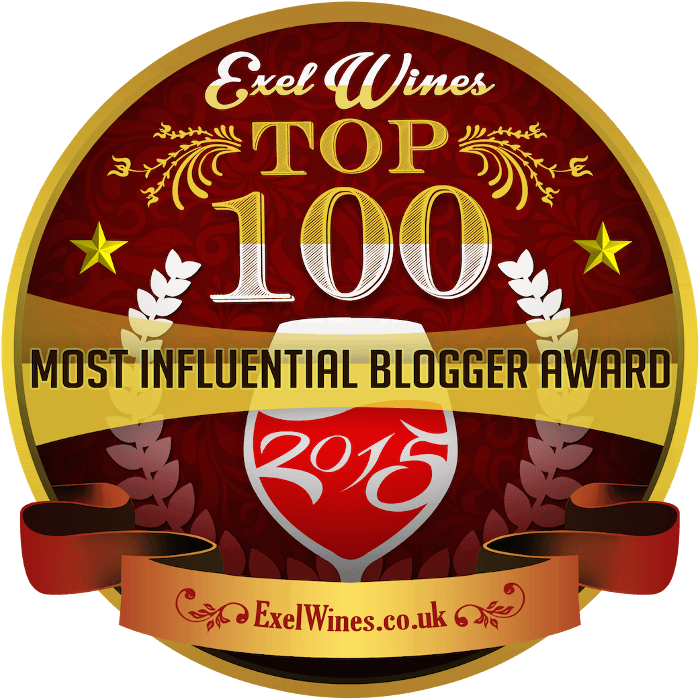 I am SO excited to see the Zaprazny Pinot Gris on your list of best whites!!! Reason: I just met with Zaprazny last week and we struck a deal to import their Pinot Gris among several other wines 🙂 So it should be available by the case sometime later this year, I will keep you posted! Hi Brian – That’s great! I’m so glad to hear you’ll be bringing the Zaprazny to the U.S. Please do keep me posted. We have very good wines and food that we could say that Italy has taken that from us. We are small country and population but our food and wine can compete with any in the world. Please come and visit us then you can tell us your opinion. Thanks for taking the time to write a thoughtful comment to my post. It sounds like you feel as if I was condescending in my writing. That makes sense, because I mention that Istria used to belong to Italy (which it did), and I imply that Croatia’s food and wine is only now rivaling Italy’s. It was not at all my intent to be condescending or to belittle Croatia in any way, however. I have visited Croatia twice, and I love the country. It’s incredibly beautiful, with one of the most magnificent coastlines anywhere, and the wines I’ve been tasting from Croatia have been wonderful lately. That said, Croatia suffered under communism, when its wine production was geared towards quantity, not quality. That trend has now been reversed, and Croatia’s potential is once again being realized. That’s what I’m trying to say — that after a difficult period under communism, Croatia is once again producing wines (and food) that are world class. 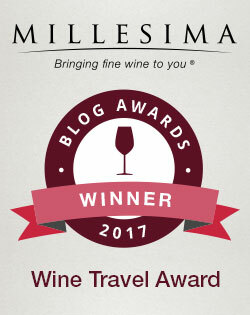 I can’t agree to change my post, but I certainly look forward to trying more wines from Croatia in the future, and to hopefully visiting again sometime soon.